As Tredare crumbles around them, Maren must persuade him to help - before the king is murdered by the very hero he reveres; and before the same magic that gives Maren the gift of sight also takes her life. 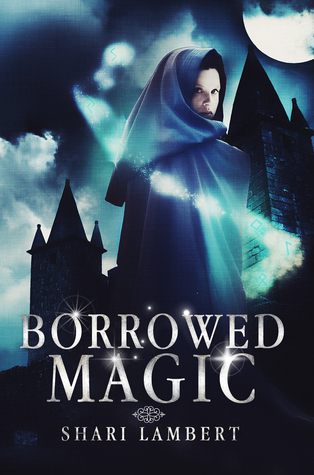 This story is a little bit different to your usual historical/magical books you’ll pick up and read. The difference you’ll notice is the feeling that you’re not reading the first book in the “series”. Several events had obviously happened in the past and we’re now stepping into “the next episode”. At first, it threw me off and confused me quite a bit, especially since the rest of the “previous events” had been teased out little by little from the main characters as I read along. In a roundabout way, the trick actually helped hook me into reading the book until I was caught up into the story until the very end. Here we meet Lady Maren. She’s a very close friend to King Daric and Queen Adare. She also served as a personal advisor to the king. How or why she managed to secure that position wasn’t clearly laid out from the beginning. Yes, it did mention that she was the First Lady but in most historical books, women played a much more subdued roles unless they are warriors or soldiers or magical which would explain why they held such power over the king. Lady Maren wasn’t like that or not in the beginning anyway. So, who or what she was wasn’t really very clear. Then we meet Phillip, her childhood sweetheart and the hero of the kingdom, who obviously hates her NOW. Again, we don’t know why until the history was dragged out from practically every major character in the book...then we finally understand. There’s also the other man in the form of Teige who brought in the twist in the plot which was revealed earlier than the rest of the “history” behind the story. All in all, it shouldn’t work, as major components of how a book comes to life had been all jumbled up. The ending was also predictable and followed the “norm”. It’s really just like any other magical/historical tale one would pick up. Nothing special. But somehow everything worked out really well. The way the author jumbled up the sequence made it compelling. The way the author avoided focusing on details to make the setting of the book “medieval” as most do by describing decor and people’s mannerisms and way of life that’s so different from today, and instead simply centered on Lady Maren and what was happening around her drew my attention even more. I simply had to read on just to find out what was going to happen to her next. Then right at the end, I found out that there’s a prequel to this book which could have been helpful to read first before this one to avoid the initial confusion. However, as a final verdict, it was an enjoyable read simply because the author found a way to make it uniquely hers and showed me that there’s another way to tell a tale told by so many others.